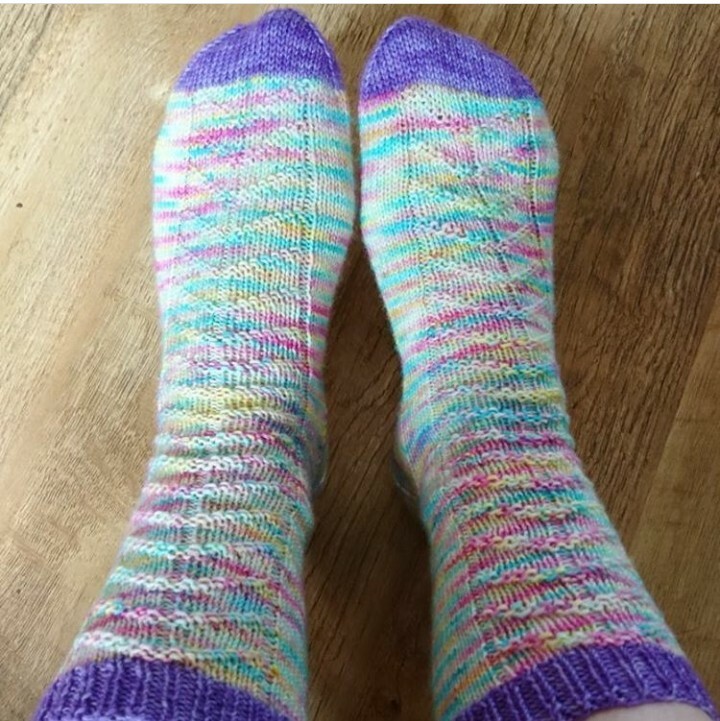 I have a FO (finished object) to share with you that I completed a couple of weeks ago, my Hydrangea socks. 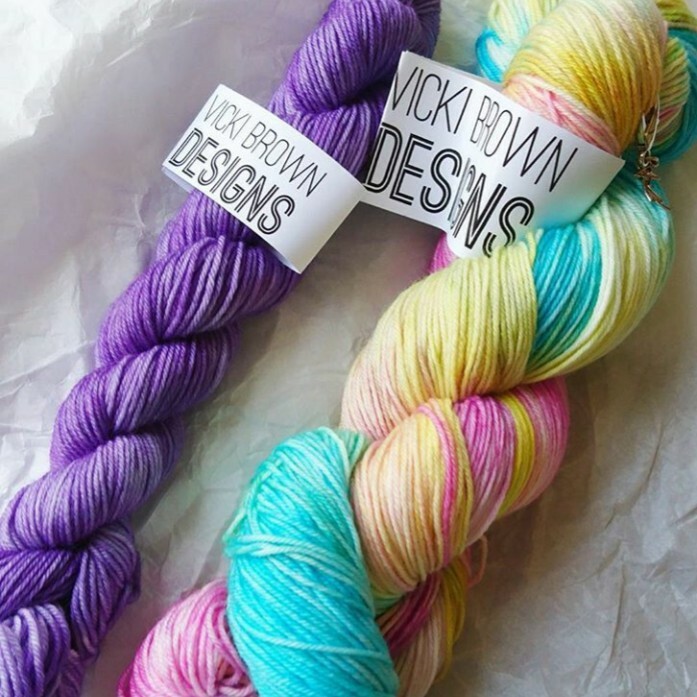 I bought the yarn from Vicki Brown Designs on etsy in the colour way Truffula Trees (4ply 75% superwash merino, 25% nylon) for the main body and a contrasting purple mini skein (again a 75:25% mix) for the cuffs and toes. Originally I wanted to knit a lace pair of socks but found that this yarn lent itself to a simpler design. 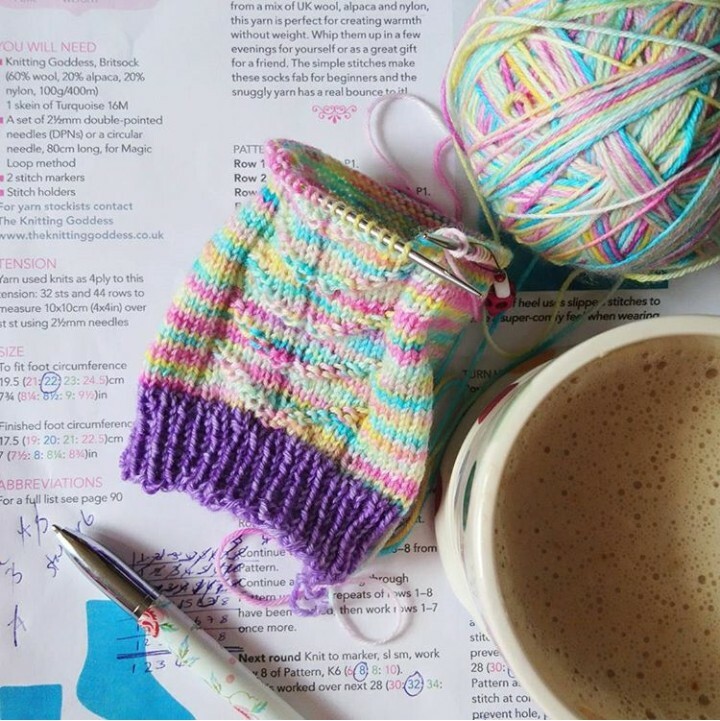 I had a hunt through my old knitting magazines and found a pattern for cuff down ‘Tourmaline’ socks by Jane Burns (featured in Simply Knitting July 2016). It’s a simple design with a textured V running along the front of the sock. 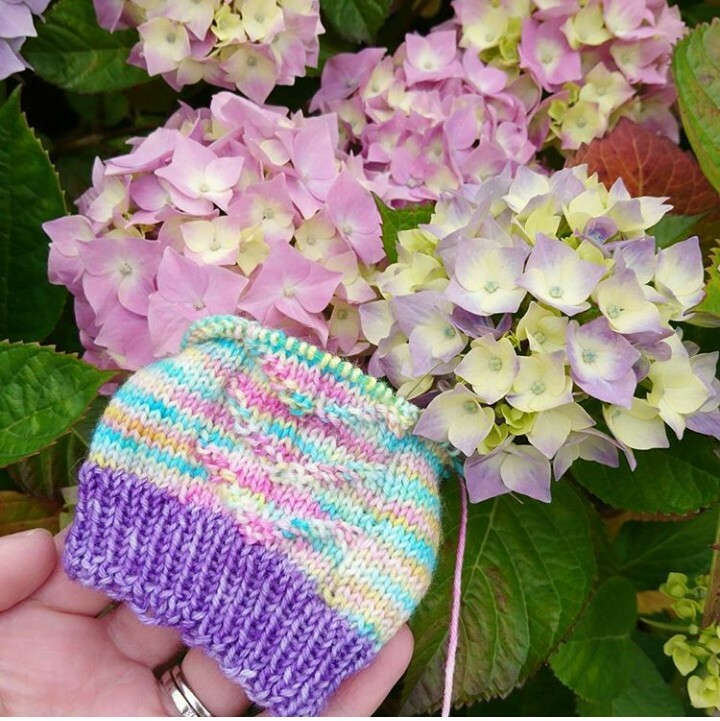 I call them my Hydrangea socks as I thought the colours were were very similar to the plant in my parents garden. 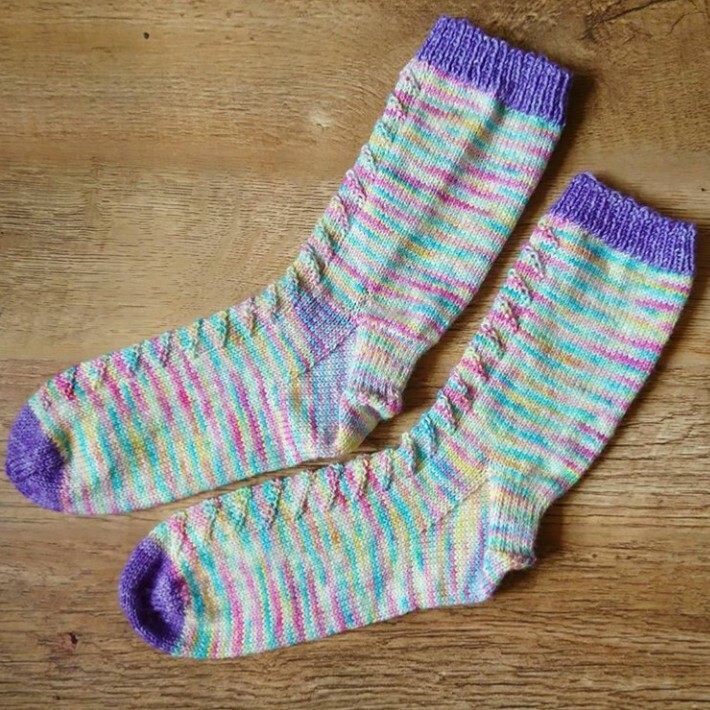 I started the socks on 28th May and finished them on 14th July, longer than I would’ve liked but I just didn’t have the time to work on them. This is my first pair of patterned socks and also my first pair with contrasting cuffs and toes so I’m quite pleased with them. I’ve already started on my next pair of socks on my sock knitting exodus… this time they’ll have an afterthought heel 😱. Brava! I am enjoying crocheting much more than my forays into knitting, however, I do want to try it again so that I can knit myself some socks. They look great!